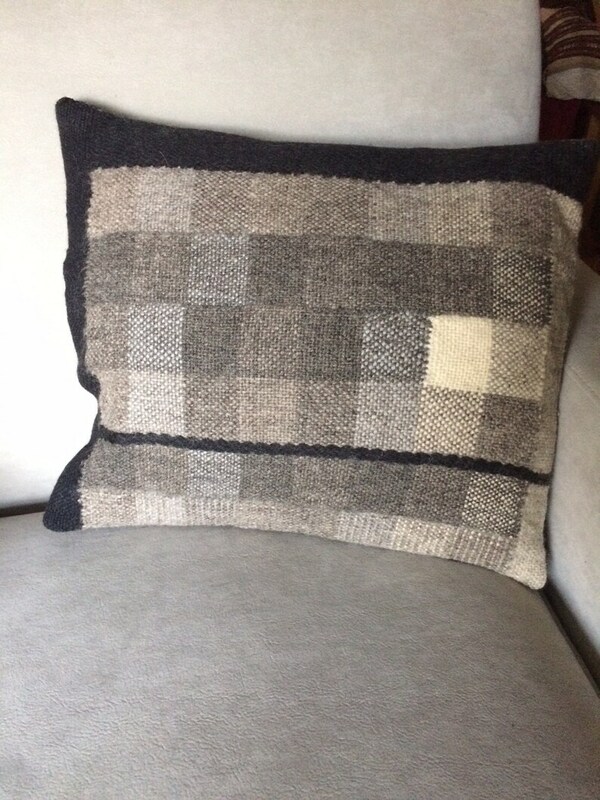 Rectangular Throw Pillow in black, gray and off white. 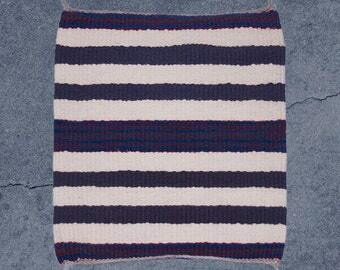 Geometric pattern of squares with stripes. Overlapping black cotton on the back so pillow insert can be easily removed should you need to clean the pillow cover. Hand dyed wool yarn, using natural dyes. 15"x18" and sits 4" high.